Everyone has their favorite baked mac and cheese recipe… for this fifth day of 10 days of Thanksgiving, we wanted to share with you ours! 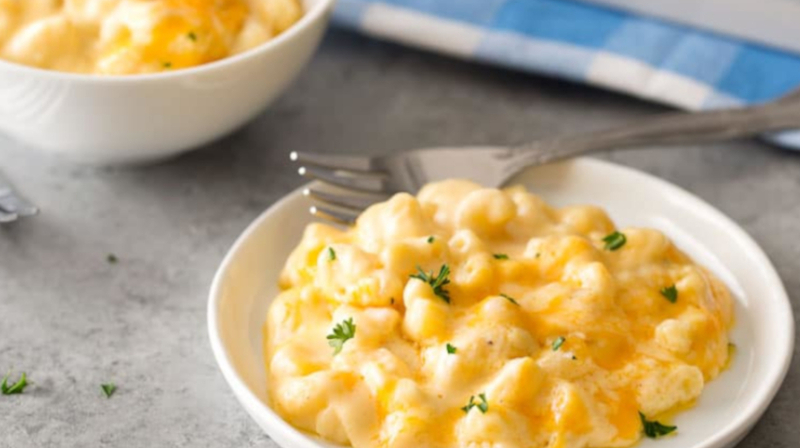 This baked mac and cheese recipe uses a combination of cheeses, layered in the dish as well as melted into a rich and creamy cheese sauce, for the ultimate in cheesy deliciousness! Preheat oven to 325 degrees F and grease a 3 qt baking dish (9×13″). Set aside. Melt butter in a large saucepan over MED heat. Sprinkle in flour and whisk to combine. Mixture will look like very wet sand. Cook for approximately 1 minute, whisking often. Slowly pour in about 2 cups or so of the Arps Dairy milk/half and half, while whisking constantly, until smooth. Slowly pour in the remaining Arps Dairy milk/half and half, while whisking constantly, until combined and smooth.